Templates: Select a query template to have a quick start for your new query in the Query Editor. Query editor: SQL Editor with syntax coloring. 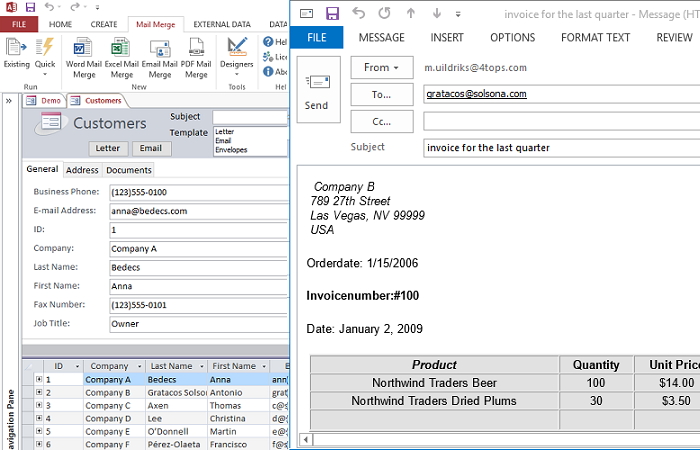 Can insert names available in the current context and with Find/Replace. Open underlaying data: Query Tree lets you open the tables and queries to find cause of unexpected results. Tablefield usedby find: Understand query dependencies. Which queries and table are used by the current query. If I change a query, which other queries will be affected. Quickly open open the involved queries for editing or viewing results. As an Access developer it can be a real pain to figure out all of the related queries when trying to make modifications to your database. Just touching one query may break a number of areas. This tool helps figure all that out and reduces the analysis time in the cases a query doesn't give the result you want. Analyse all the dependencies of queries - understand why queries don't return the results you expect. 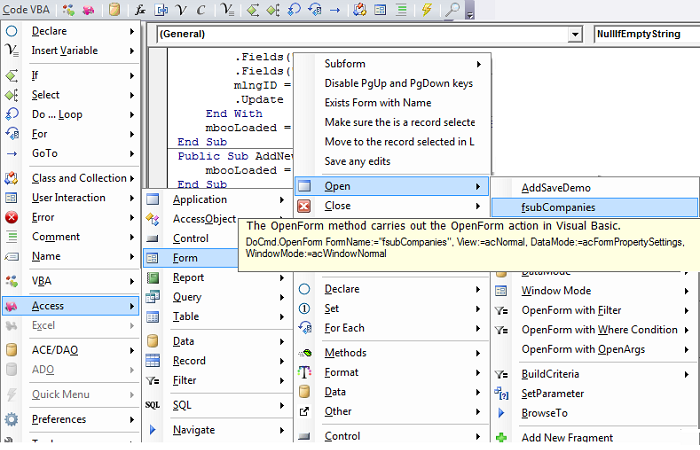 Create queries using templates - SQL editing with intellisense. Find Queries: Give a search string - a fieldname or function - and you get all the queries that use it. Verify Queries: Click and be sure that after you make changes to the database the queries all still work. Precedent (Uses) and Dependent (Used By) show the dependencies of queries in the database as a tree. Very helpful when assessing the consequences of changes. 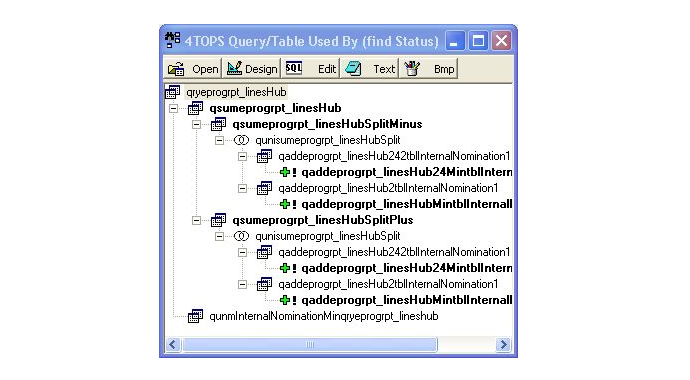 The picture below shows in a tree all the queries that depend on a selected table or query. 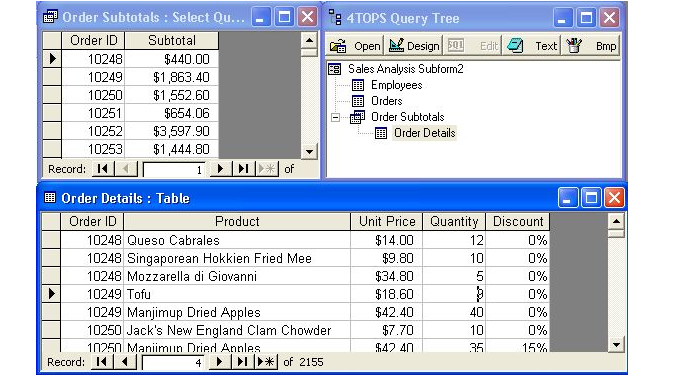 Double-click on the relevant queries in the tree to compare the results of each. This will help you diagnose in case a certain query doesn't return the results you expected. Many different types of queries are supported (last count: 30: select where like, left join, totals, insert, update, etcetera. 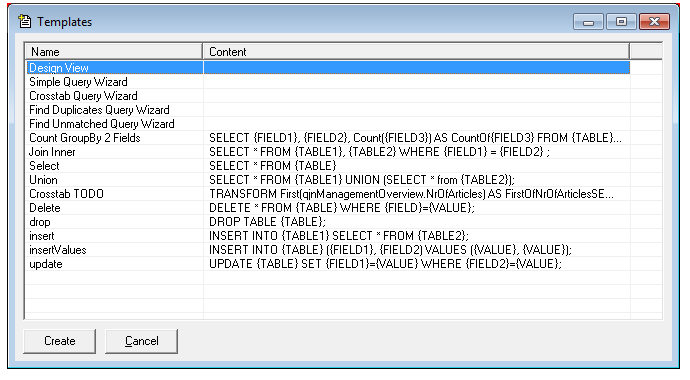 Microsoft Access's built-in SQL editor is rather simple for the advanced programmers. 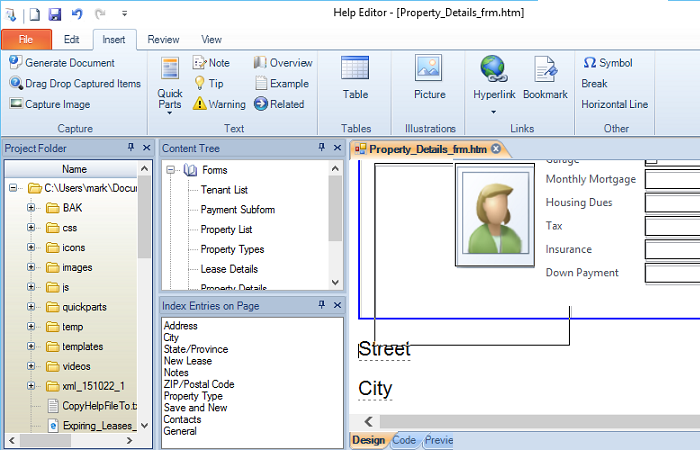 4TOPS includes a full-fledged editor with intellisense. No need to copy to NotePad and back any more. 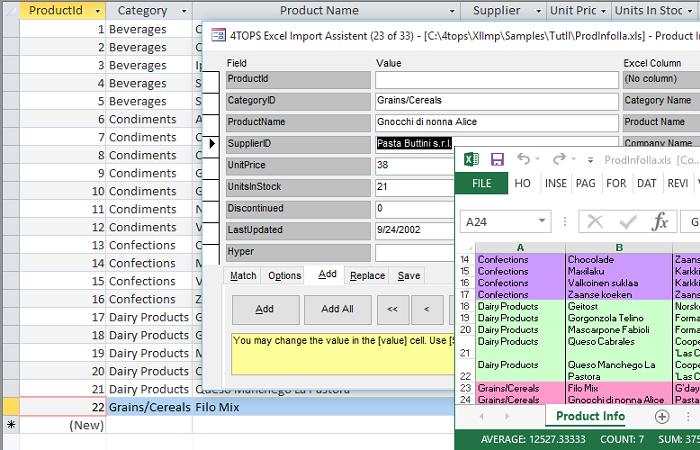 Has Find and Replace possibilities: find strings or fields, optionally replace them. On opening the editor adds line breaks and indentation to the query to show its structure. Finding Queries lets you get a list of all the queries that use a certain string, e.g. a fieldname. This is useful if you plan to make changes to one or more fields and you want to see which queries will be affected. 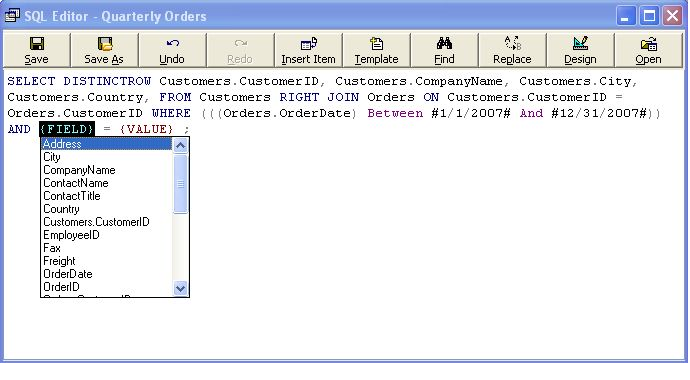 You can immediately start making the changes from the list using the SQL Editor. Verify Queries is a 1-click solution to make sure that after you make changes to the database or queries they all still work. You can immediately start fixing the broken queries from the list using the SQL Editor.